Rhodochrosite is prized for its pink and cream mixture within banding and rosettes. 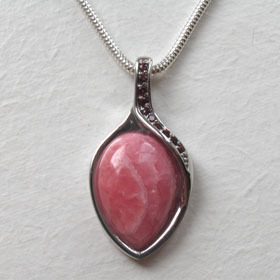 Our rhodochrosite pendants have hand selected gemstones showing the best banding and colour. 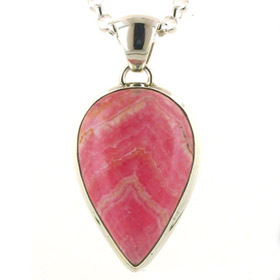 Choose a quality rhodochrosite pendant from the selection below and team up with sterling silver chain from our Italian collection. We also have a collection of rhodochrosite earrings. 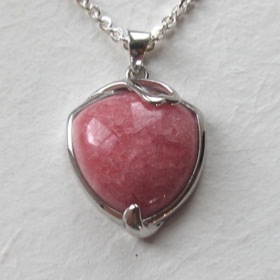 Free delivery on your rhodochrosite silver pendant and silver chain.